Wyatt’s family was ripped apart this summer when his mom’s long-term struggle with alcoholism and his father’s enabling behavior overwhelmed the local police’s ability to help manage the family. Human services stepped in and determined it was too dangerous for Wyatt to live in the house and, with a charge of his own, he got taken into custody. Even a small, fledgling relationship can mean the world to a young person in crisis. I am amazed by Wyatt’s heart for Jesus as well as his new-found resilience and hope as he was dangerously suicidal when we first met. It is rare to see such growth and transformation so quickly! Your investment in his life is just one of the many lives that you have changed for good and forever. Thank you for being a part of the ongoing conversation with youth in our city like Wyatt and helping us share God’s story. 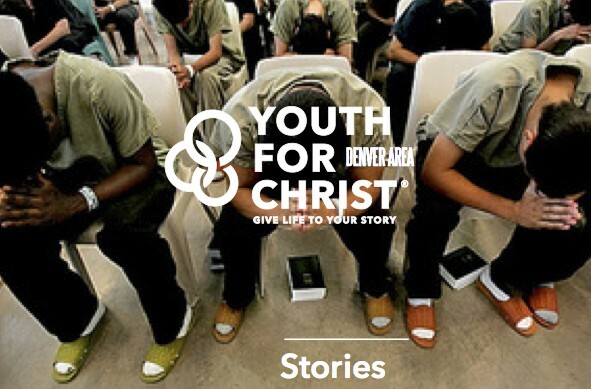 It's our honor to be the storytellers on your behalf who meet kids right where they are and give life to their story.